It’s been a great year at ChooseHelp and we’re thrilled and gratified that close to 1 million readers have visited over the past 12 months to get better informed and to choose health over illness and the joy of recovery over the grim days of addiction. 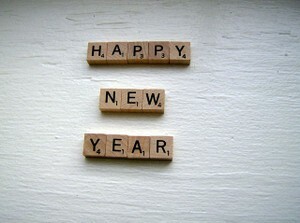 We’re thankful that you came and wish you all the best of health and recovery for the New Year and throughout 2012! As a quick recap of the past 12 months here at CH – here’s a collection of your (and our) favorite articles of the past year. Once you accept that you have a problem and accept that you can’t overcome your urges to drink or use drugs on your own, you have to accept that you need what addiction treatment teaches if you’re going to have any chance of long term success. But what would you learn in drug rehab and what changes would you have to make? Find out how improving yourself in 4 specific areas is the secret to long term recovery. No matter how you try to limit your exposure to the people, places and situations which trigger your urges, temptation is inevitable and unless you’ve learned how to control and overcome your urges to drink or use then relapse is all too likely. But don’t fight those urges – the more you fight the stronger they become. Instead, feel the urge deeply and learn to ride over it like a cresting wave that disappears into nothingness. Urge surfing is based on mindfulness and it’s a proven effective relapse-busting technique. Wondering if you’re ready to quit? Wondering if you even can?!? Well, if so, you’re not alone; because ambivalence and uncertainty about the prospect of quitting drinking is far more common than certainty and confidence. Here are some quick exercises that should help you to decide whether you’re ready or not to make that first big step into recovery. 4. Ibogaine for Opiate Addiction - Miracle Cure or illegal and Dangerous? It’s illegal in America but readily available both north and south of the border – is Ibogaine what you’ve been looking for as you seek to break free from opiates or alcohol? Learn more about the pharmacology, effects and risks of this controversial medication/hallucinogen. There are few drugs tougher to beat than benzodiazepines, and for most people, a cold-turkey reduction is inhumane and unreasonable. You can’t expect to get off benzodiazepines overnight, but with patience and determination you can make it to nothing. Learn the 11 secrets of an effective benzodiazepine taper and find out exactly how to succeed. You know you’re drinking too much and that things are getting out of control, but you’re not ready to quit just yet and you’d prefer to handle things on your own – for now. Some people can learn to change from problem drinking to moderate consumption…and some people can’t, but if you’re not ready to quit entirely it’s well worth making a serious effort at achieving healthy moderation. Read on to find out exactly how to do it; but know that if you fail after making a serious and controlled effort at moderation, that treatment/abstinence is likely your best course of action. Whether you’re trying to quit or working to maintain your recovery, there are few activities as beneficial to achieving your goals as meditation. Not convinced? Read on to learn 8 concrete ways mediation can keep you sober. Addiction is a disease of the mind and controlling addiction has little to do with will power! According to The American Society of Addiction Medicine addiction causes structural and functional changes to the reward, memory and cognitive systems of the brain which make besting addiction without treatment a difficult proposition. Addiction is a chronic disease characterized by periods of relapse and remission. If someone you love struggles with alcohol or drugs, you are likely going to have learn how to live with that person, as imperfect as they may be, as they work through the trials and tribulations of the recovery process. Here are 12 tips for keeping everyone in the family sane and healthy whether or not a family member is actively using drugs or alcohol. By law, you can force your teen child to get treatment. No law exists, however, that grants you authority over your child’s thoughts and though teens are great at saying what we want to hear, we just can’t force them to think what we want them to think. Most treatment programs demand immediate abstinence and tell teens what to do and how to think. In the 7 Challenges Model, through a building of trust and through education about the costs and benefits of drug and alcohol use, therapists help your child to make their own decision about whether or not to use drugs or alcohol. The research says it works.